Relief of IT department bottlenecks – once the Tag Manager is deployed, new tags can be implemented directly by Marketing with no IT department involvement. This is a huge benefit for large websites, where IT is oftentimes a bottleneck. 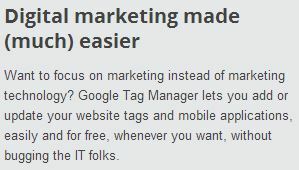 IT Issues - when you use a TMS like 'Google Tag Manager' you are bypassing the IT department. If anything goes wrong, they can/will put all the blame on you. Most solutions that require some form of tag management will likely fall within the jurisdiction of the marketing department. By decoupling the tag management process from the IT department greater control is handed to the specifically to the (digital) marketer which is logically where its should be in relation to this process. Tag management saves money as marketers can swiftly make changes to vital assets without enlisting the help of the IT department. Less people and less time means less cost. The problem in all these quotes is in the rhetoric. Don’t get me wrong, all of them make a valid point, but they also do their best to antagonize IT as a slow, antiquated, process-driven, bureaucratic, revenue-hating, nerd-monster, whose sole objective is to make life difficult for marketers. Here’s how it goes. Marketer finds Tag Management Solution. Marketer finds out s/he can “create code” using fields and a graphical user interface. Marketer questions the need to ever again consult IT, because marketer knows now how to code. Marketer learns of jQuery. 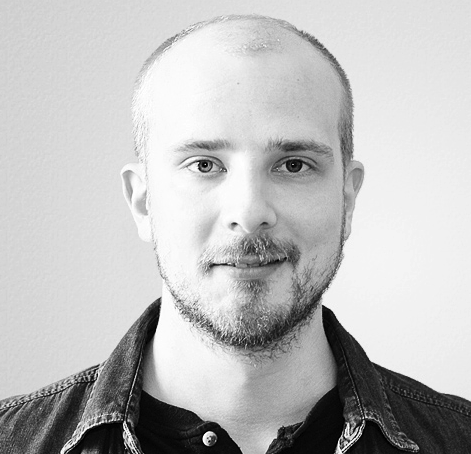 Marketer copy-pastes a bunch of jQuery into a custom tag. Marketer breaks website. IT nerds laugh in glee. At the same time, these solutions inject front-end code onto the site, they manipulate DOM elements, they make use of global variables, and they are often very tightly bound with server-side logic as well (e.g. 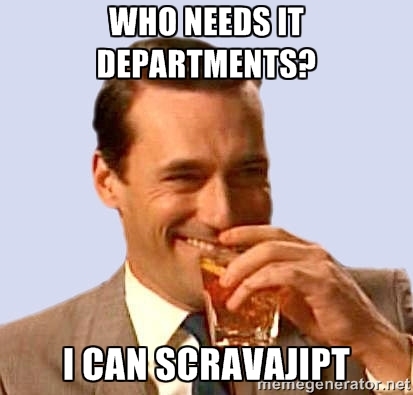 with complicated eCommerce setups). An operational scale this huge for any solution cannot and must not make the solution the sole property of any one party. There are many stakeholders involved in any tag management solution setup, and the process should not be botched by some misguided preconception of ownership (“this is my solution, and you are not allowed to touch it!“). The key is to stop thinking of IT as a bottleneck, or as something you have to fight against in your day-to-day work. There’s a reason they are process-driven and take a long time to deliberate. Quality assurance. A word unfamiliar to many marketers. Every large web infrastructure has a QA process in place, and it usually involves parallel environments (development, staging, live), a vigorous routine of testing (automated, unit, manual), diligent documentation, agile methods, punctual reporting, and a maintenance process. If the marketer does not respect this, even I wouldn’t want them anywhere near the systems I am in charge of. Stéphane Hamel’s post Data Quality: Making It Simpler Doesn’t Mean It’s Simple touches upon this topic, and he makes many important and educational points about the inept marketer. The important thing is to find common ground, to extend the IT processes to cover the TMS as well, and to work together in improving the usability, tracking, and performance of the website. This is not a one-team job, and with large websites it necessary involves IT as well. Here are my ten suggestions for making the deployment and use of a TMS more manageable to both the marketer and the IT department. These suggestions involve both parties. BONUS: Have a beer together. Be friends. As I see it, a good TMS doesn’t replace IT. It complements and facilitates their work, so that the often over-burdened department can focus on more critical things. However, a good TMS also needs a marketer who understands what the TMS is capable of, in good and in bad. Of course, a change in mindset isn’t warranted solely from the marketer. The IT department must become more sensitive to the fast-moving pace of the marketer’s world, where changes to tagging might have to be done on a daily basis. This necessarily requires a level of compromise in QA, or the adoption of a lighter, more agile version of the front-end development process. What are your thoughts on this dichotomy between the marketer and the IT department? Do you think a TMS should be solely in the marketer’s domain, or are you empathetic to the IT’s situation as well?